It is our job as parents to teach our kids how to become functional adults. Part of being a functional adult is looking after your own personal space – making your bed and keeping your home / personal space tidy. You know, one thing I’m proud about is despite having four kids, our home is always tidy. Any one of our friends could walk in the front door and I would never be embarrassed about the state of the house. Did you know that cluttered homes are associated with depression? I know for certain that when my home has just been cleaned I feel like my life is in control. Keeping a tidy home is a skill. It doesn’t come naturally to most kids. Few kids are naturally tidy. Few adults became tidy without guidance and discipline. Teaching kids to look after their belongings, put their clothes away and make their bed establishes a pride in who they are and what they own. It also makes them happier people. Teaching kids how to be tidy and look after their belongings is part of the discipline kids need when they’re learning to become adults. 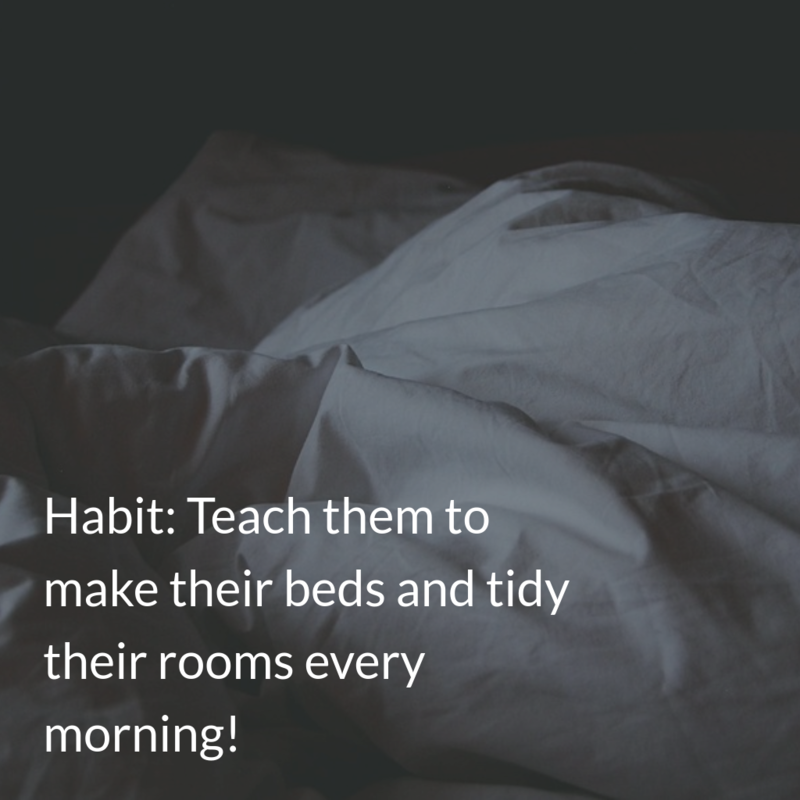 So encourage you kids to get into the habit of making their beds and tidying their rooms every morning, as part of their morning routine. These simple self management skills will help them feel more in control of their lives – something that will make a huge difference as they move through life’s challenges.